Written with a managerial focus, New Products Management 11e by Crawford and Di Benedetto is useful to the practicing new products manager. Along with the management approach, the perspective of marketing is presented throughout which enables the text to have a balanced view. 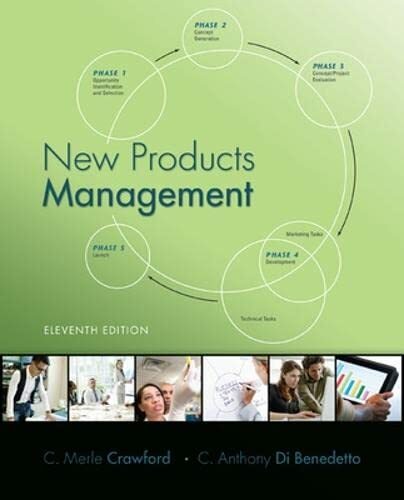 The authors aim to make the book increasingly relevant to its users as this revision is considered to be a “new product.” Many new examples, cases, and research along with the most current topics highlight the new edition of New Products Management.